Intelligo is the home for thoughtful Christian commentary on faith, life, art, and culture. A marker of intelligence is the ability to encounter a new idea without rejecting it for its mere difference from your own opinion, but also not accepting it just because it "sounds" right. The intelligent examine new ideas, accepting or rejecting them only after considering them. The lack of consideration could very well be the modern man's downfall. Our tendency is not to listen to understand, we listen to respond. We don’t ask questions, we assume answers. Even in the church we have this problem. We don’t often question what we’re told. We’re generally too quick to believe people we consider part of our group. But your favorite pastor is not always right. And the label “Christian book” does not make everything it says true. Think about what you hear. Think about what you believe. Consider it. Ask questions, have discussions. Let people challenge you and challenge other people. I once heard someone say, “Question everything. If it’s too weak to question, it’s not worth adopting.” If the beliefs you hold are too weak to question, you shouldn’t hold onto them. This is precisely why I love Christianity. I can question it. I can question it, and it turns out to be sturdy — not weak. Consider what you believe. Consider what you’re told. Consideration yields understanding. Blind acceptance, or rejection — ignorance. : to think about (a person or a person's feelings) before you do something in order to avoid making someone upset, angry, etc. 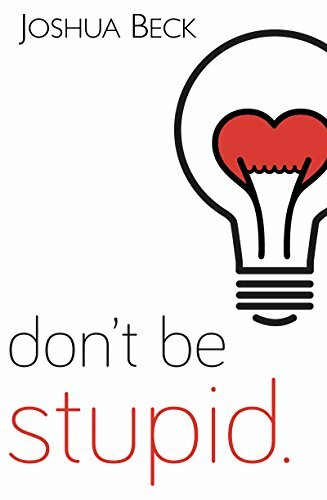 Joshua, founder of Intelligo, is a writer, speaker, and member of the Don't be stupid. podcast. He's an introvert, a reader, and is a little obsessed with C. S. Lewis. He lives in Oklahoma City with his wife, Sam. Thank you! Be sure and check your email to confirm your subscription.